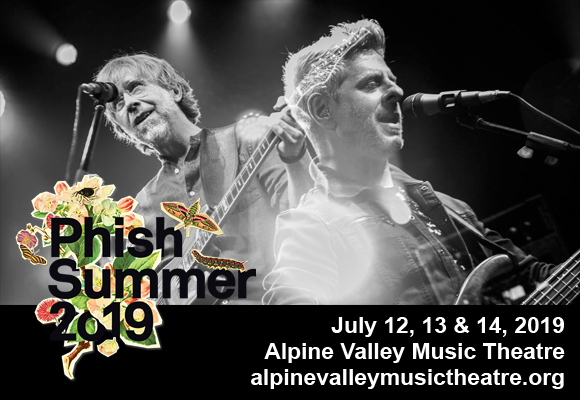 It's the time of year Phish fans have been waiting eagerly for as the world-famous jam band brings its annual tour to Alpine Valley Music Theatre on Friday 12th July 2019 for a three-day fun-fest! With improv-led music full of life and color and a vibrant community of Phish Heads at every show, there's bound to be a party when these consummate professionals take to the stage! Get ready to jam the night away!